I am thankful for my Aunt Marylou and my Aunt Denise. They are my mom’s sisters and when I am with either of them, it is the closest I get to being with my mom again. the look like her, they sound like her, they talk like her, they have the same mannerisms and most importantly, they love like she did. They love me, they love Scott and they love Ben, and even though Benny will never know his Grandma Harriet, getting to know the two of them will bring him closer, and for that, I am more thankful than I could ever figure out how to say. I am thankful for my daisygirl. I miss her blond fur and her stinky breath and the way she would wake me up in the morning with my sock in her mouth, wagging her whole body and whining. I am thankful for my love of food. I know some people think it’s better to eat to live than to live to eat, but I can’t imagine what my life would be like if I didn’t find pleasure in food and joy in cooking and wasn’t creatively inspired on a trip to whole foods. What a bore. I love everything about food, the taste, the smell, the texture, the process, the art. I love how it brings people together and nourishes us, how it comforts us when we’re sad, or lonely or homesick. How it brings back memories and connects us to our past like nothing else can. I could do without the havoc it wreaks on my thighs, but it’s delicious, and I am thankful that I appreciate it. I am thankful for wine. Need I say more? puligny montrachet, mostly, but I’m not too proud. Give me a cheapy bottle of barefoot cab, and I’ll still be your best friend. I am thankful for this blog and the beautiful people I have met because I decided to start writing it. I'm also thankful for the beautiful people who hardly know i exist, whose blogs i read and am touched by every day. The blogging community amazes me and I feel lucky to have stumbled upon it, lucky to find inspiration in it, honored to read the stories and see the pictures of so many beautiful and creative people who also share their lives on this here little internet thingy. BEAUTIFUL...so much to be thankful for. 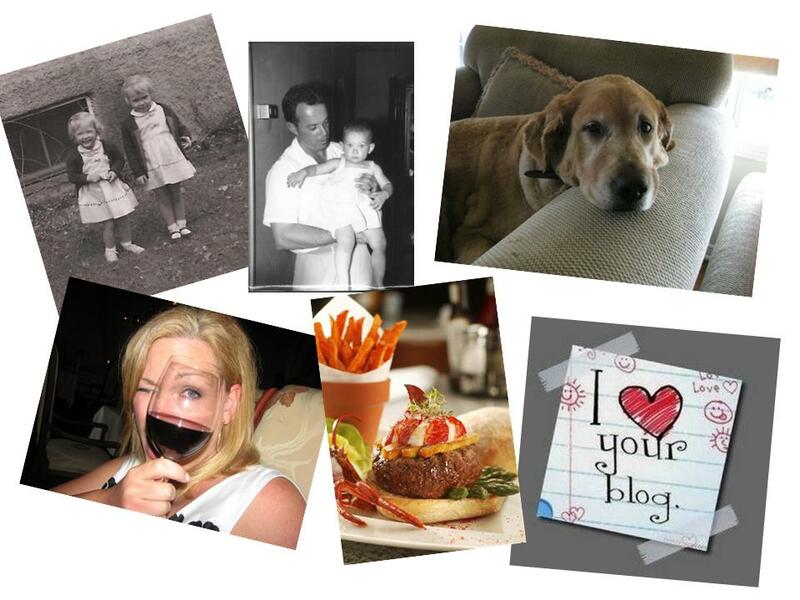 Hooray for family and furry friends and wine and especially blog friends. I am thankful for all of these...plus YOU.